I love competing in Combat Robotics, The sport is better known as Battlebots. Below are a few of my robots. Follow along at https://www.instagram.com/teamfoodfight/ to see some behind the scene shots. 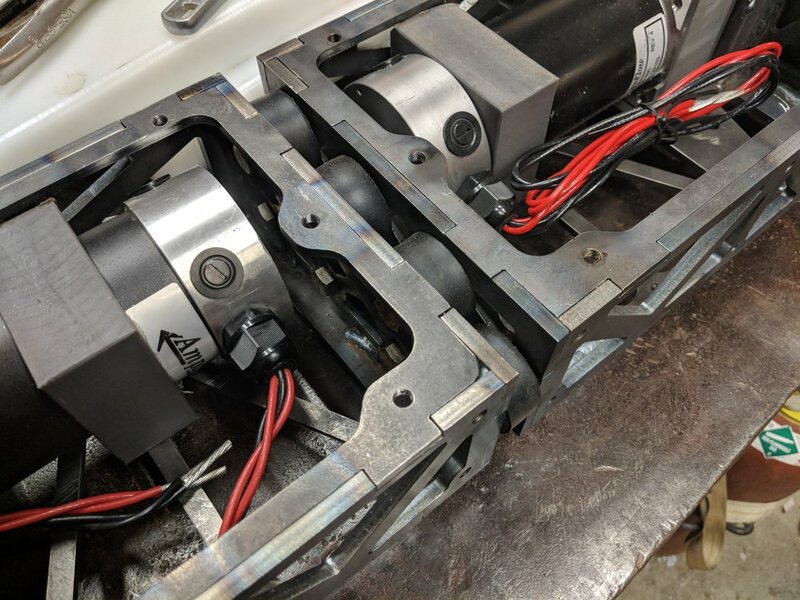 A 250 lb vertical disk spinner that competed in the 2018 season of BattleBots. 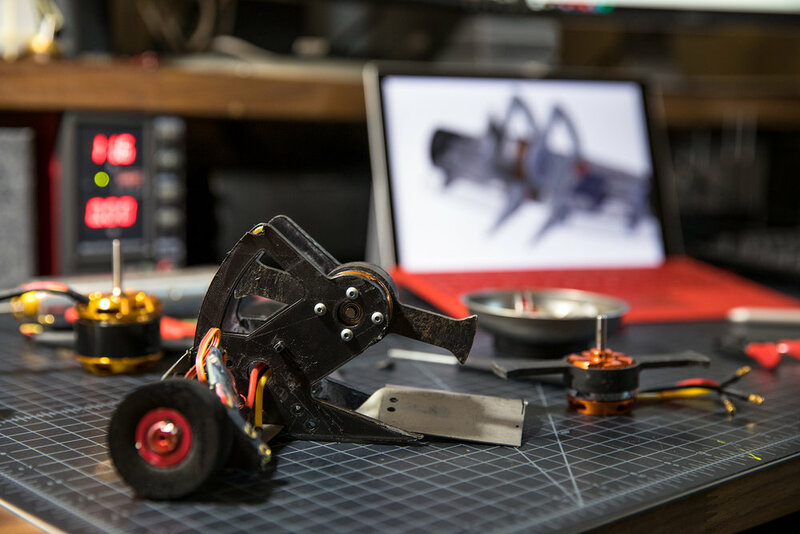 This robot was designed to be low cost, quick to manufacture, and easy to repair . The end result was a highly competitive robot that took less than 3 weeks to build. The entire model was detailed out in Solidworks. 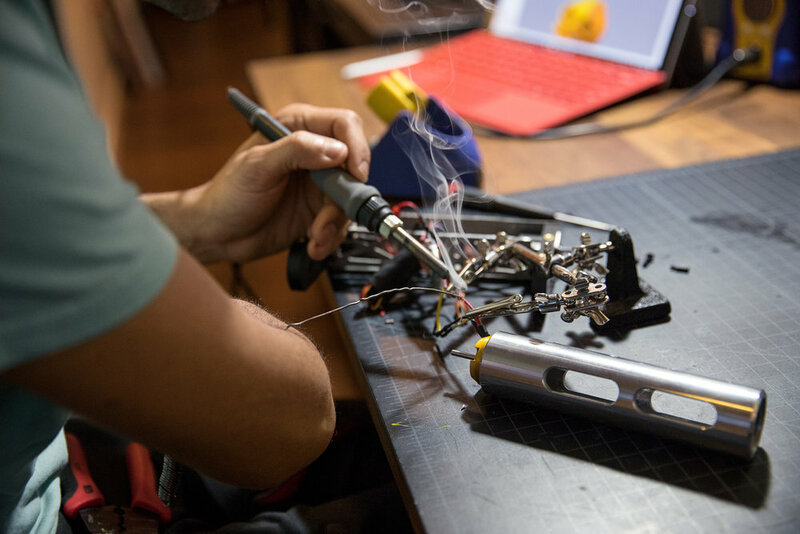 A top-down build approach meant that small design tweaks would propagate to all parts of the model and made updating production files quick and efficient . The frame was waterjet from AR400 plate and welded together to form the different modules of the robot. Known in English as Cat King, Cat King is a 110kg combat robot which competed in the debut season of This is Fighting Robots. Clip of Cat Kings first few matches. An 60lb drum spinner. Made out of 6061 aluminum and S7 tool steel. The robot has a completely brushless motor drive and weapon system. An antweight (1lb) vertical spinner. Custom built from the ground up this has been my main combat robot. 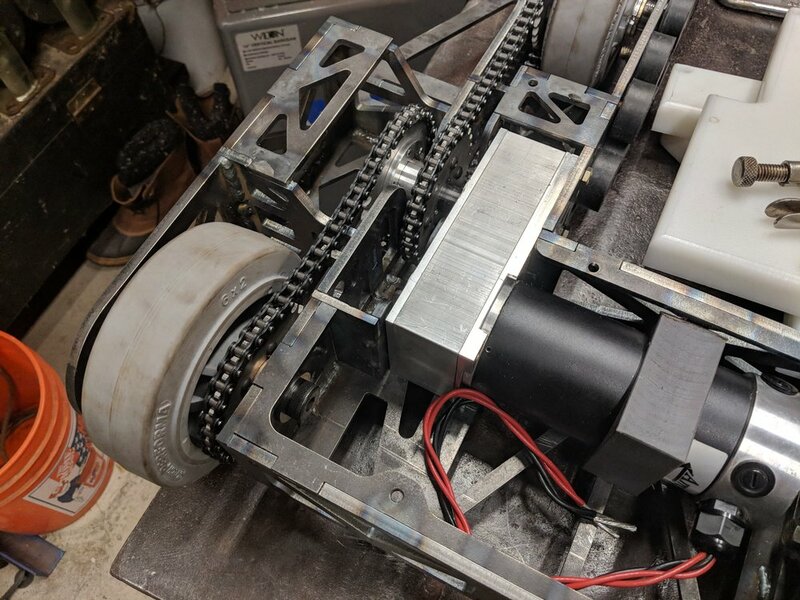 Pizza Slicer won bronze at its first ever Robogames competition. Robogames is the largest combat robotics competition in the world. An antweight drum bot. Hotdog Roller is a fun bot and does extremely well in rumbles when facing multiple robots at once. A collection of other combat robots that I have made in the past.